The reported study was funded by RFBR according to the research project No 18-310-00115. I thank Ulrich Teichler and William Cummings for granting me access to the Changing Academic Profession database. I am also grateful to the participants of the 4th International Conference on Academic Profession in Knowledge Society (Seoul, 2016) and to my colleagues from Center for Institutional Studies Anna Panova and Maria Yudkevich for their valuable comments on the earlier version of the paper. Arimoto, Akira. 2009. “Changing academic profession in the world from 1992 to 2007”, in: Report of the Hiroshima International Seminar on Higher Education. Vol. 13. URL: http://rihejoho.hiroshima-u.ac.jp/pdf/100132.pdf#page=10. Froumin, I. (2013). “Mass Distribution of Higher Education in BRIC Countries.” in: Federal reference book. Education in Russia. Vol. 9. Moscow: Publishing Center "President", 2013. P.: 203–212. (in Russian) URL: https://www.hse.ru/mirror/pubs/lib/data/access/ram/ticket/86/1527413247a168b672a566725d123419c96dd9e909/Frumin.pdf. George, E. S. (2006). Positioning higher education for the knowledge based economy. Higher Education, 52(4), 589–610. https://doi.org/10.1007/s10734-005-0955-0. Gokhberg L., and Kuznetsova T. 2010. Russian Federation, in: UNESCO Science Report: the Current Status of Science around the World. P. 215–234. URL: http://uis.unesco.org/sites/default/files/documents/unesco-science-report-towards-2030-part1.pdf. Kwiek, Marek. 2017a. “Academic top earners. Research productivity, prestige generation, and salary patterns in European universities.” Science and Public Policy. 1–13. doi: https://doi.org/10.1093/scipol/scx020. Price, Gregory N., and Laura Razzolini. 2003. “The returns to seniority in the labor market for academic economists.” Unpublished paper. URL: https://www.researchgate.net/profile/Gregory_Price2/publication/228586749_The_Returns_to_Seniority_in_the_Labor_Market_for_Academic_Economists./links/02e7e518aed9ac33e5000000.pdf. Scott, P. (2002). 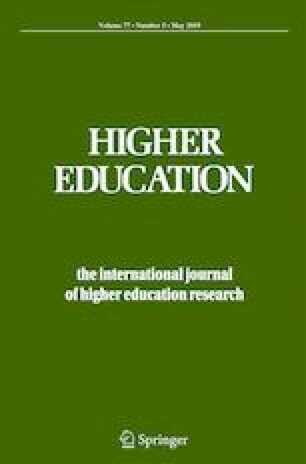 Reflections on the reform of higher education in Central and Eastern Europe. Higher Education in Europe, 27(1-2), 137–152. https://doi.org/10.1080/0379772022000003288. Yudkevich, Maria, Yana Kozmina, Elizaveta Sivak, and Olga Bain. 2013. “The Changing Academic Profession.” Working Paper by NRU Higher School of Economics. Series WP10. URL: https://www.hse.ru/pubs/share/direct/document/113800381.